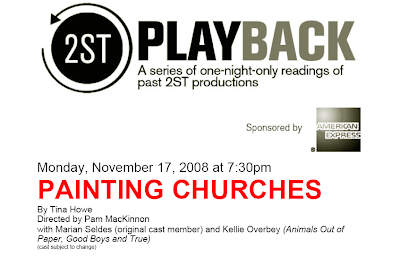 This reading will be held at Second Stage Theatre, 307 West 43rd Street @ 8th Avenue. Tickets for the general public will be available at the Second Stage Theatre box office starting at noon on the day of each reading and will be distributed on a first-come, first-served basis. Unclaimed tickets will be released at 7:30PM. Friends of Second Stage donors receive guaranteed seats for readings throughout the season, starting at 2 readings for Member level donors ($125+) up to reserved House Seats at all readings for Champions Circle members ($1,800+). Please call Daniel McCoy, Manager of Individual Giving at 212-787-8302 ext. 111 for information on joining.